That F'ing Monkey: Flash Friday, Drop that Puck! 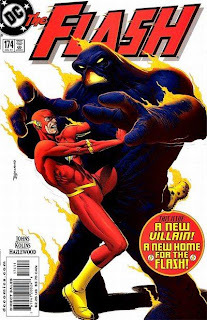 Flash 174 is a great issue. It’s a little fun stand alone story about a hockey game, a psychically controlled Tar Monster, and a prostitute. 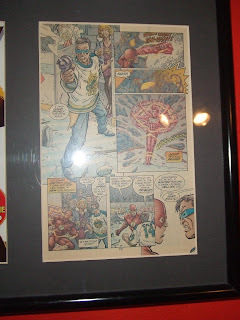 Hockey is the only sport I really like, so when this issue came out I loved it. It isn’t a sport normally shown in a positive light. 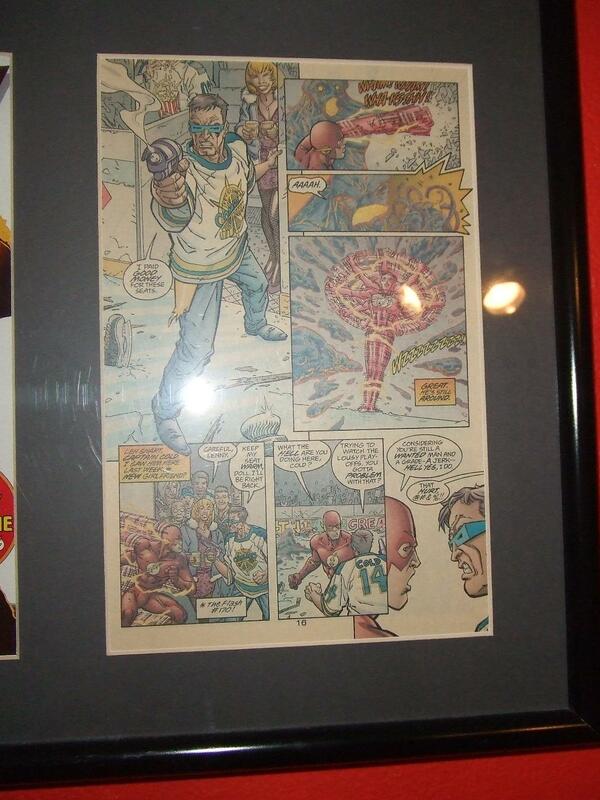 Just look at that page, Captain Cold is my favorite rogue and there he is half rogued-up and wearing a hockey jersey. I saw the page and knew I needed to own it. Luckily I was able to get in touch with Scott Kolins. You can even see the notes on the side of the page. Again, I love that Cold has his holster on under the jersey. 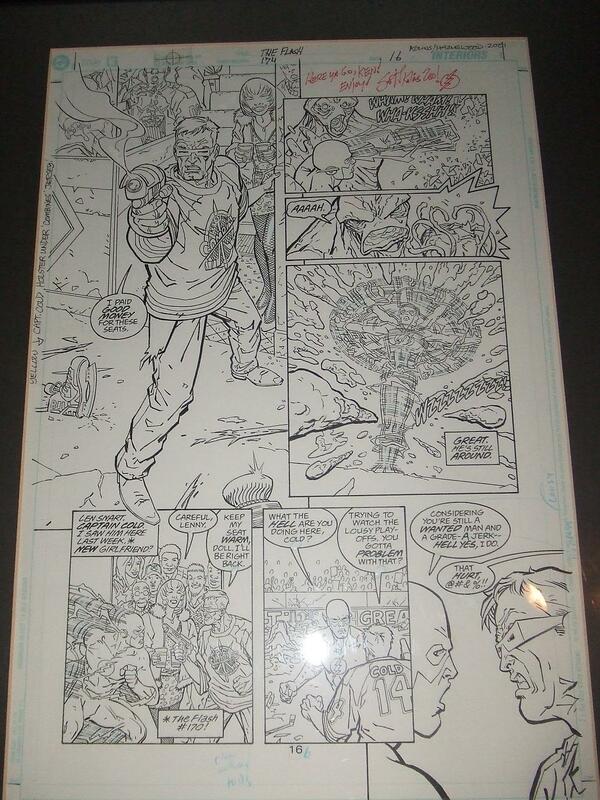 I won’t lie; I bought the page because of that first panel with Cold pointing the gun at you. I really dig the close up of the Flash and Cold when they are arguing too. I’m going to say this and some others might disagree, but I really miss Doug Hazelwood’s inks over Scott’s art. I still love Scott’s stuff regardless, but the two had a very distinctive look that I really enjoyed. 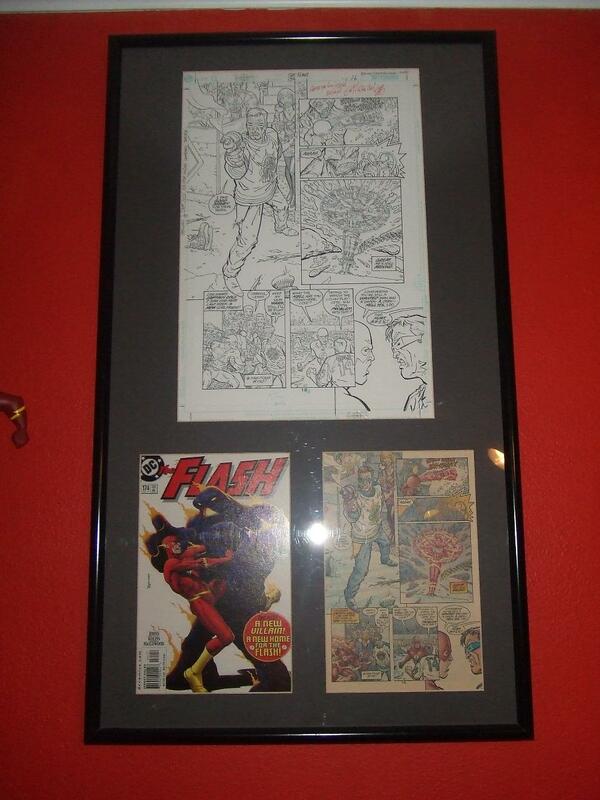 The top of the page is signed, “Here ya go, Key! Enjoy.” And I have. 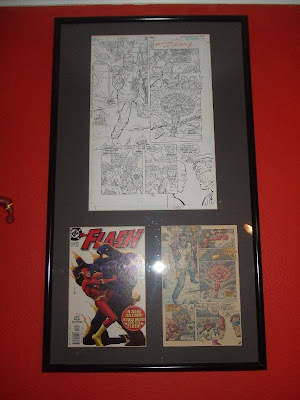 This piece has proudly hung on my wall for years now and it isn’t going anywhere any time soon. Oddly enough this is not going to be the last hockey themed Flash Friday, but we’ll save the other one for another day.